Brisbane Roar managing director Mark Kingsman says Suncorp Stadium's bulging events diary shows why the city needs a new rectangular stadium, insisting an A-League expansion side won't be viable without one. The Roar are dissatisfied with their draw for the new season, with their usual home ground unavailable for large chunks of the 2017-18 campaign due to external factors. 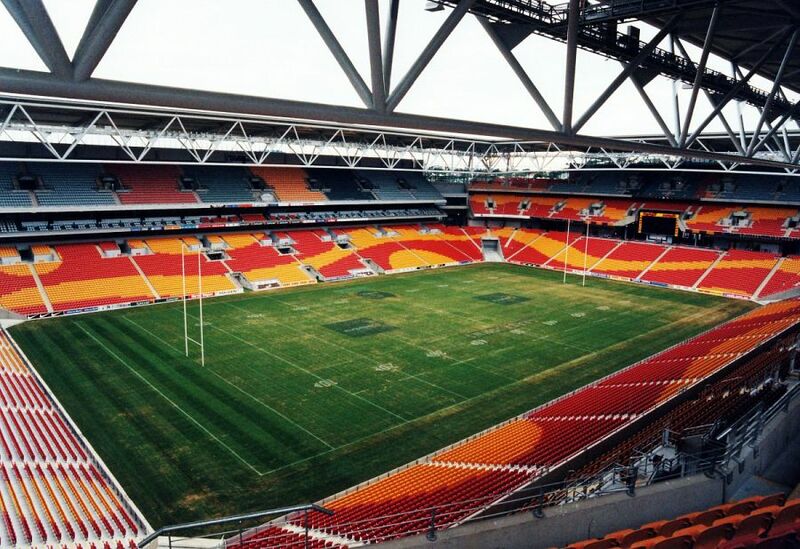 Rugby league's World Cup, the Bledisloe Cup, the Brisbane Global Rugby Tens and two concerts will take place at Suncorp Stadium during the Roar's season, while the Commonwealth Games and railway upgrades have also put a squeeze on related infrastructure. The Roar's December 9 home clash with the Wellington Phoenix will be played at Cbus Super Stadium on the Gold Coast, with Paul McCartney due to perform at Suncorp on the same night. With no other rectangular venues in Brisbane up to professional sporting standards, Kingsman said it underlined the argument for another stadium to be built. "Over the past 12 months we have been speaking to government at local, state, and federal level about the need for a second stadium in Brisbane and the current issues that we face only emphasise that need," Kingsman said in an open letter to Roar members. "There has been much talk around a second A-League side coming to Brisbane and we at the Roar certainly want that. "However the stadium issue will need to be resolved to facilitate it. "We will continue working towards this goal as it has been evidenced by the success of the MLS following the introduction of more appropriate stadia, that football in Australia needs these venues to evolve." Neither of the two consortiums set to enter bids to join an expanded A-League see Suncorp Stadium as their long-term home. FC Brisbane City is petitioning for a redevelopment of the decaying Ballymore Stadium, while the Brisbane Strikers would initially play out of Suncorp if granted a licence but are investigating the use of Perry Park as an A-League venue.